Nuclear Medicine, a medical specialty involving the application of radioactive substances in the diagnosis and treatment of disease have been highly successful in diagnosis of difficult to detect diseases and therapy of various dreaded diseases. Recently, there have been a tremendous research progress in development of newer methods, conjugates and pharmaceuticals for diagnosis and therapy using radioactive materials. The purpose of this special issue proposal is to summarize the recent advances in the field of new potential molecular targets/mechanism of actions, new radioconjugates development, clinical evaluation and application of new radiopharmaceuticals, and new techniques/therapy development. Recent progress will be covered through research articles, review articles and short communications. – Chemistry of new radioactive elements. 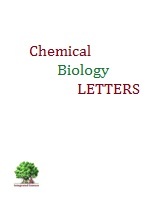 – Organic chemistry of radiopharmaceuticals, chelating agents and standalone radiopharmaceuticals. – Progress in Positron Emission Tomography (PET). – Application of nanoscience and nanotechnology to Nuclear Medicine. – Identification of new therapeutic targets. – Treatment advances of various diseases – cancer, infections, inflammations etc using radiopharmaceuticals. – Clinical studies and evaluation of radiopharmaceuticals. – Malarial/mycobacterial/microbial/viral diagnosis and therapy including biochemical aspects. – Therapeutic and diagnostic applications. – New therapeutic policies and emerging targets for Nuclear Medicine. – New approaches adopted for the development of new radiodiagnostic and radiotherapeutic molecules. – Rational design and drug discovery-Structure-activity relationship (SAR). – Synthetic strategies of new radioactive conjugate molecules. – Molecular self-assembly as drug delivery carriers of radiopharmaceuticals – Nanotechnology and Biotechnology. – Environmental aspects, safety measures advances in nuclear medicine. Nuclear Medicine researchers are invited to submit their research / review article for this special issue. Manuscript should be prepared and submitted as per author guidelines provided on journal site. Manuscript template (download): Download template MS word 2007-2010, Citation manager style files and other details are provided in author guidelines section on journal site.